Everything we do, we do from scratch. From making our own dough and sauce, freshly grating the cheese for our pizzas, to pickling our own japapeños. 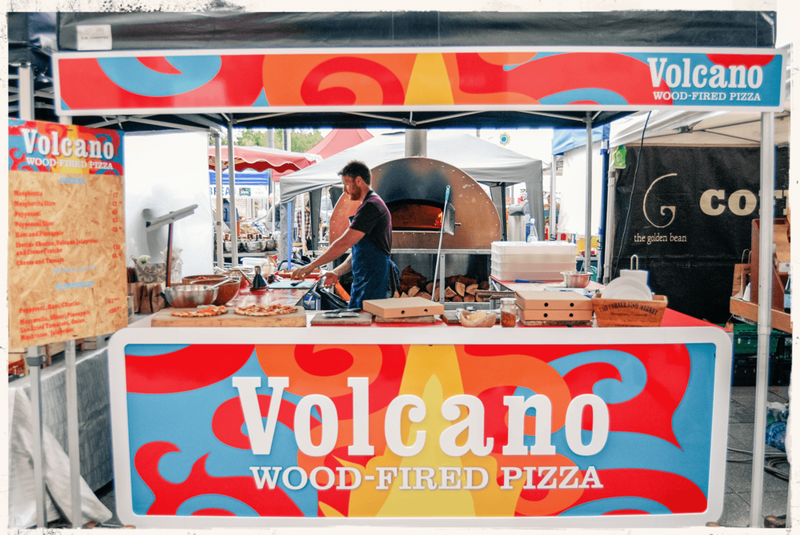 We even build our own wood-fired pizza ovens. For freshly-cooked pizza made for you, right in front of you, we don’t cut corners. We believe the best food is made from simple, real ingredients. That’s why we source most of our ingredients from the Irish farmers and food producers in the same markets where we set up shop. We choose meats for our pizzas based on what tastes great and how ethically the animals are treated on their farms. We serve our pizzas on compostable items and minimise our disposable waste every chance we get. From where the ingredients come from, to how we prepare them, to how we get a pizza into your hands, every step of the process matters to us. There are some traditions which shouldn’t be messed with. That’s why we’ve looked to methods from Naples and Sicily when developing our dough and sauce recipes. It’s also why we import our pizza flour, Tipo 00 flour, and the best quality Italian Pelati tomatoes from Italy. These are two ingredients which can’t be compromised when making great pizza, and no one does them better than the Italians. We have a team of engaging and likeable people dedicated to creating high-quality pizzas and ready to have fun while doing it. 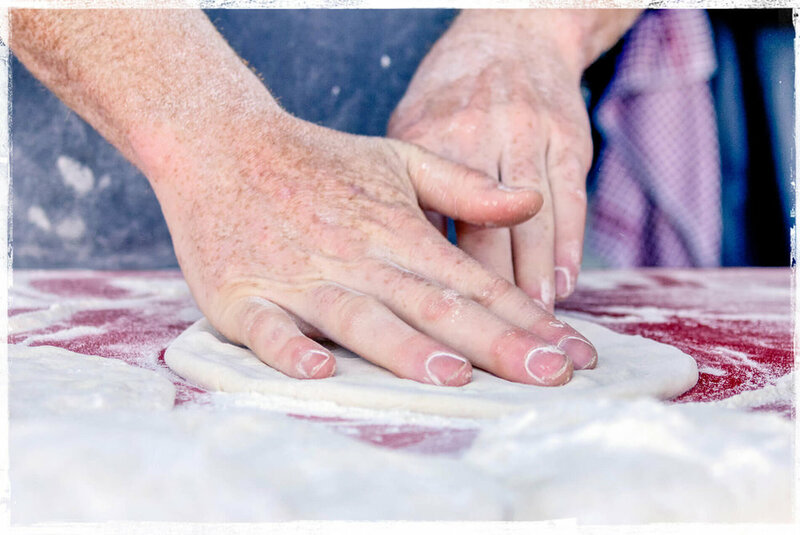 Each person on our team is fully trained on the ins and outs of making woodfired pizza by hand. That means you’re met by a skilled crew of knowledgeable food producers who take pride in what they do.